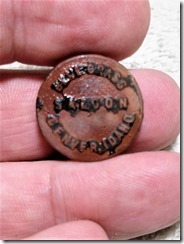 I was fortunate enough this spring to obtain permission to hunt a private property Ghost Town. The area is very close to my home so for me it was very exciting not having to travel but a few minutes to my new site. I wasn’t however, ready for what was to become one of the most difficult sites that I have ever detected. 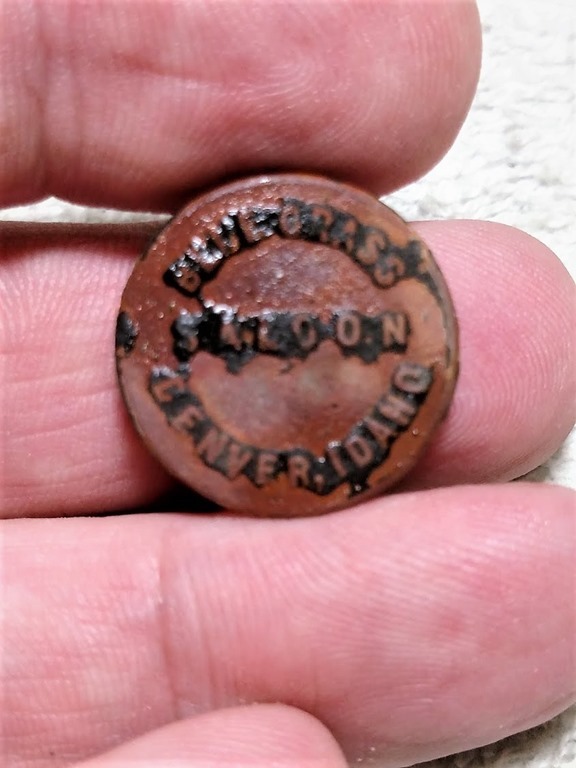 I arrived all excited to find some old coins even though I knew the site has been detected by many others. The site is around 150 years old and has been a Ghost town for 100 years more or less. It wasn’t a large town but the buildings covered a very large area since it was more of a farming community. Now to get to the site and the problems I faced. I grabbed my CTX 3030 with the standard coil as I usually do, turned it on did my adjustments. The area is now plowed fields with no building sites or pictures that I could find at all. The only way I could figure out where things and people were was to look for iron and or glass. So I removed my discrimination pattern from the CTX and ran an open screen, so I could hear the iron in hopes of finding good areas like buildings. That was really funny. There was so much iron the CTX sounded like a machine gun. I didn’t want to change to the 6-inch coil because of the plowed furrows and the enormous size of the area. I figured I was in a bad spot and would try to listen to the machine on the fast setting, go-slow and try to work between the constant sound of iron targets. I did that for a bit and finally changed to one of my custom programs with some Disc. I was finding a few non-ferrous amongst the iron so off I went. What I was finding out was the CTX was falsing a lot on the furrows as I went over them, so I had to work them as much as possible. I thought about changing to small coil but because I was trying to get the best depth I could I held out. A couple of hours later being somewhat disappointed I decided to try a new plan. I had recently received an Elliptical HF coil from Gerry and thought this would be an ideal spot to see how it would handle this junk yard. I went and got the Deus setup with my own program I run for coin hunting and went to swinging. Now the Deus runs a faster recovery speed than the CTX so it should be better at this task. Now, with the faster recovery speed you will lose some depth but it will also see targets the CTX won’t. I started out with the HF coil on 28 setting thinking it would be more sensitive on smaller targets. I was right it was. 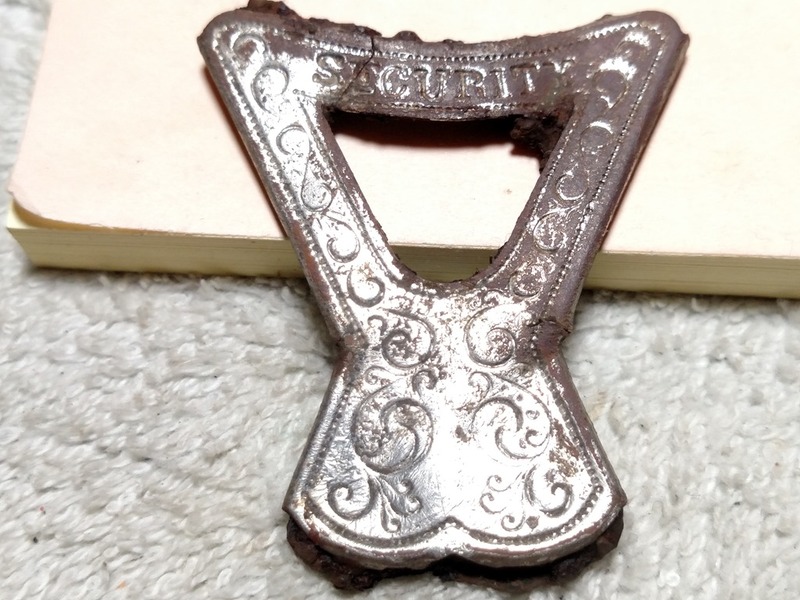 It loves finding small bits of iron and telling me it was a good target. Time to change things. I went to the 14 setting and made some other tweaks and got the XP running very quiet in this bad iron. So you know you can look forever to try to find a clean spot to ground balance your coil and you will not find one with an 11-inch coil, I tried. After hunting a while longer I did some more adjusting on the silencer and reactivity to make the machine work as I wanted. I need you to understand I hunted this site for about 3 months and worked with both machines trying to refine them to suit this site. Now to sum up what I learned about the two machines. The CTX as I knew would found some deep targets that the Deus missed. To that I had to go so slow and do the Minelab wiggle on every half-way good sounding target. To say the least it was difficult but also paid off in some very nice tokens. What I didn’t like was the amount of square head nails that it found and because of the site I had to dig. It did do a pretty good job on the rest of the iron including the most big iron. The round harness items were dug all the time sounding like bigger silver, that is to be expected. All in all the CTX did a good job at what it is designed to do as long as I used very little discrimination so it would not blank out over large areas. 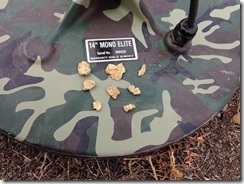 The XP Deus as it turned out was my detector of choice for covering the area and then I would follow up with the CTX. I found the only way to be successful was to grid a smaller area then go back and use a circle search pattern to come at the targets from all directions trying find a non-ferrous item. I was and am very happy with the Deus in this iron. I know I have not found all the targets, it is impossible. I did however find my second GOLD one dollar coin with the Deus using the new coil. I was able to get machine run smooth and could get around 6 inch depth on a dime but again without my knowledge from the CTX on how to wiggle out some targets it too would not have found some really good items. The shape of the XP Elliptical coil was a huge deal. The round coils could not see or sort out some targets. I did take the time to do a lot of testing. 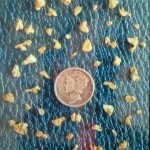 Pictures of most of my finds with the machines are on my Facebook page: https://www.facebook.com/RyePatchRon. I need both of my machines to work this area. Is one better than the other yes, at certain task but without having both and knowing how to adjust them most people would have gone home after a short time of digging iron or no non-ferrous targets. You have to put in the time to learn your machine and what it will or won’t do. If you think mine is the best and don’t miss anything you would be wrong on a lot of sites. Yes some sites you might get most of the targets but no one or one machine will get them all. I know for a fact these guys would still be in the dirt if not the XP Deus and the New Elliptical coil. Thanks to Gerry at http://gerrysdetectors.com/ for getting one in hands as soon as they were available. The gold coin and the tokens has paid for the Deus on this one site alone. If Lunk hasn’t told you yet, I had a wee bit of a problem with the Cholla, (still digging the needles out) and the harness….I’ll figure a way to better deal with both. Now to the assessment I promised, I like to put together a basic legend with a grading scale…the higher the number the better the rating. I think this provides a better assessment than just he did this or that etc. GPZ knowledge of the product….8 … (Not higher because I don’t know the machine well enough to determine if he was lacking anywhere). He certainly knows more about the machine than I do and I learned from him. Attitude: 9… I don’t give out 10’s….so this is a high very grade for me….from the beginning he was professional and easy to deal with. Very important when you first meet someone…a great first impression goes a long way in my opinion. Personality: 9… Pleasant disposition, he made feel like I could ask anything at any time and he was very attentive to my needs as a trainee with the 7000. Follow-Thru…9… This is usually an area I give low scores for…..but Lunk has already followed through with web links etc. as he promised that he would. I have no particular reason to grade Lunk so high, I gave him what I thought he genuinely earned. I’d try and hang on to him Gerry. My name is Erik and I reside in Nevada. 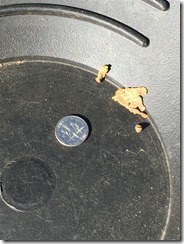 I have been prospecting for about 25 years and took up metal detecting about a year ago. Originally I purchased a mid range PI detector from Amazon. I had never received any formal training with the machine and detected on the weekends regularly for the majority of that year without any gold. 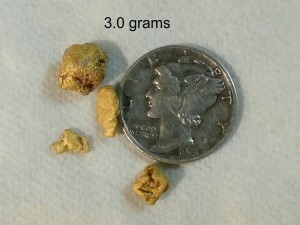 On one of my later outings I performed a series of tests with my machine on a 1.5 pennyweight ( 2.3 gram) nugget buried at various depths. I realized that my machine was not “seeing” the target. 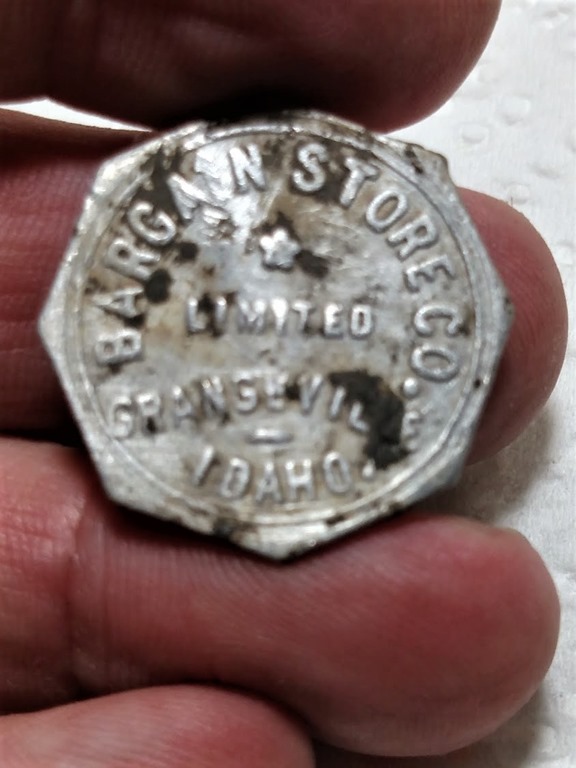 Based on the recommendation of a fellow detectorist I contacted Gerry McMullen of Gerry’s Metal Detectors out of Boise, Idaho. Gerry was quick to respond and listen to my story. After listening, Gerry recommended the MineLab GPZ 7000 package and encouraged me to enroll in his training course to be held at Rye Patch, Nevada. Gerry gave me a great deal on the machine and training and the customer service was exceptional throughout the whole process of acquiring the machine and enrolling in training. At the three day training course, Gerry and his staff of expert metal detectors conveyed their knowledge on detecting techniques, detector types and capabilities, detector settings and operation, and target recognition and recovery techniques. 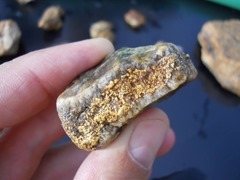 Gerry and his staff were very professional and willing to share their wealth of knowledge on detecting and prospecting. 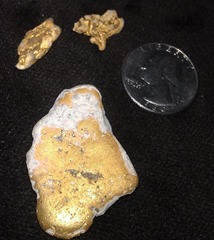 The weekend following the training course, I found 4 nuggets at two different locations. One of the locations had been detected several times over by many different machines and operators. 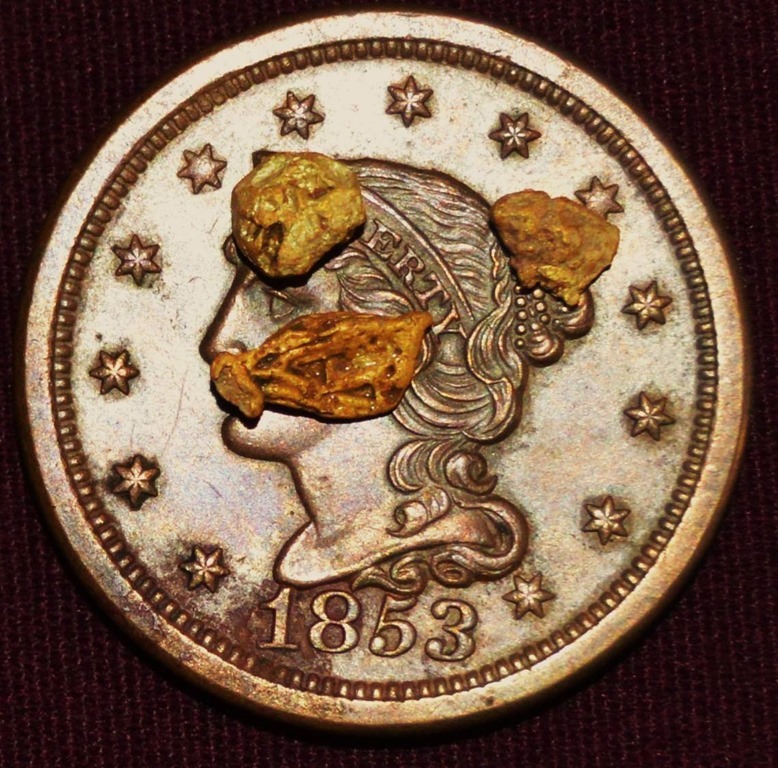 All I can say is, If you are serious about finding gold, coins, or relics, buy the best from the best! Thank you for helping me realize my goals in nugget shooting. The New CoilTek Coils are here. Our own “Scott” makes the CoilTek Ad..Congrats buddy!! 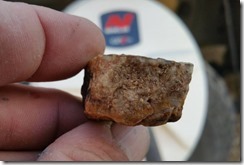 I was just looking at a friends post showing his CTX 3030 finds and thought I would share this. If you want to save the value of your investment here is what I purchased from Gerry McMullen to keep my 3030 in pristine condition. 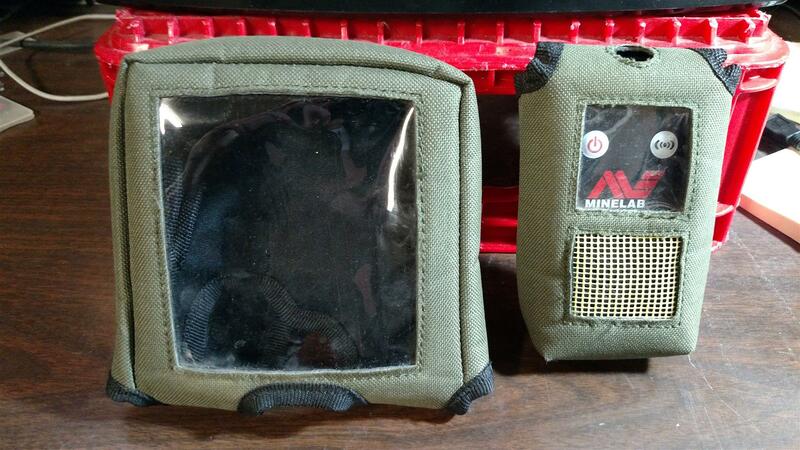 It comes with a WM protector and a display cover included. It is for the GPZ 7000 and it just a little big on the battery end but works just fine. Get a hold of http://gerrysdetectors.com/ to get yours. 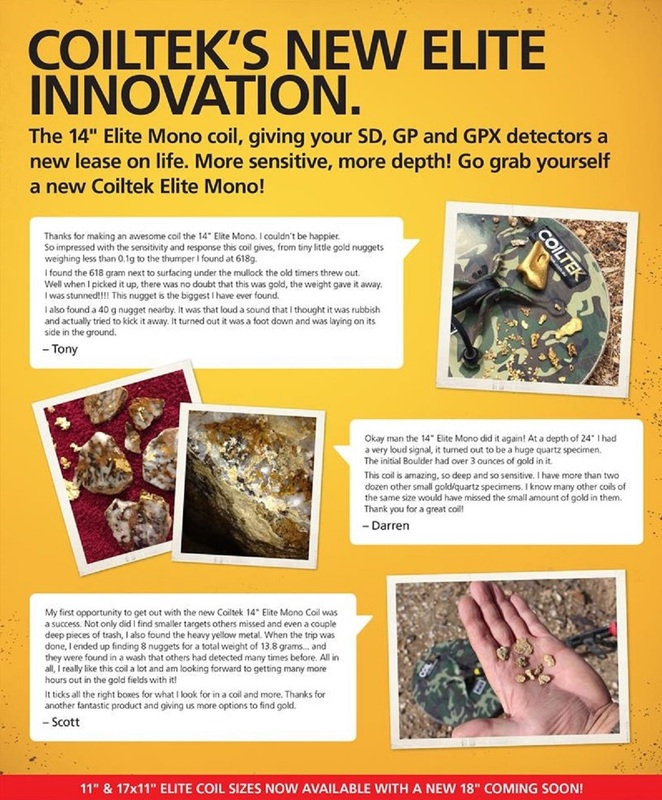 Yes I did and I liked it…The first opportunity to get out with my Minelab GPX-5000 and the new CoilTek 14″ Mono Elite Coil was well worth the wait. Not only did I find smaller targets others missed and even a couple deep pieces of trash, I also found the heavy yellow metal. 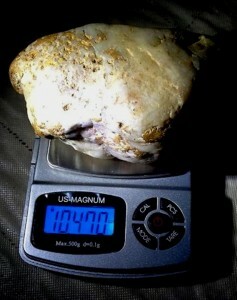 When the trip was done, I ended up finding 8 nuggets for a total weight of 13.8 grams….. and they were found in a wash that others had detected many times before. Here are some of the 1st things I noticed and wanted to share. Smooth, Stable & Quiet – I don’t worry about wearing out the coil covers, as I try to scrub my coils on the ground as much as possible to get best depth, this I learned a long time ago, that the farther the coil is off the ground, the less signal depth penetrating into the ground. This is not rocket science here folks! But another big benefit I noticed with this coil is how smooth and quiet it performed, even when bumping into rocks, bushes and such. It certainly runs much smoother than many of the older coils I have. Sensitive to a variety of targets. I was also impressed with the sensitivity and signal response on the small targets, as well as bigger ones, even at depth! Little bits of trash (yes we find those too) were clean responsive signals, just like if using a smaller coil on a little nugget. I was quite impressed. Depth to larger targets. 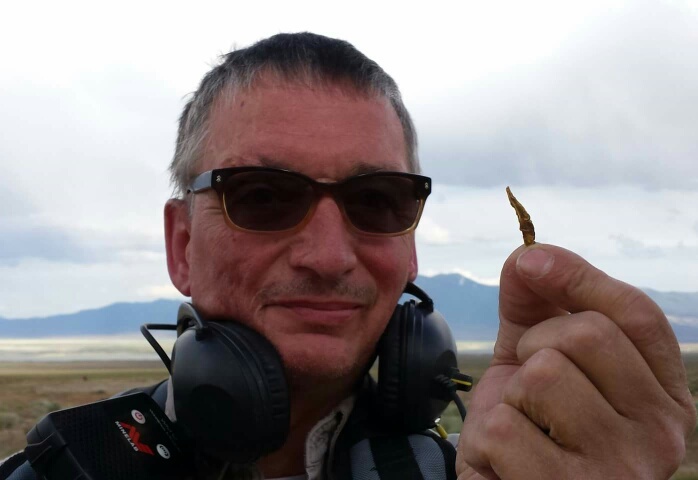 I was excited to take this coil down to Rye Patch Nevada in order to test it on some targets that some of Gerry’s Detectors staff members have buried at known depths in years past. 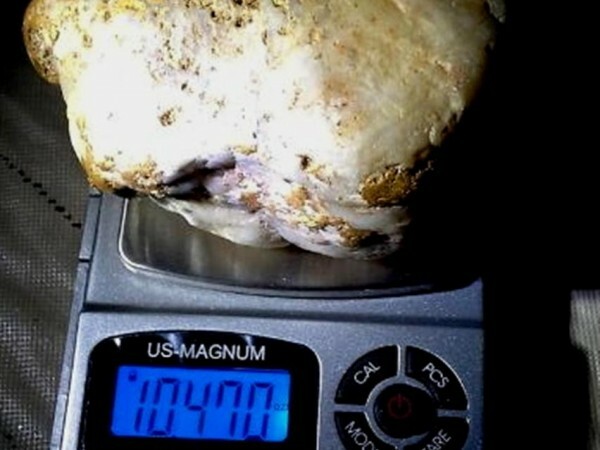 One target in particular is a 5 grammer at 24″ that was buried about three years ago. The 14″ Elite gave a soft clean signal that would grab your attention and cause you to stop and want to dig. Incredibly, I was able to raise the coil up off the ground a few more inches and still get a decent target response. 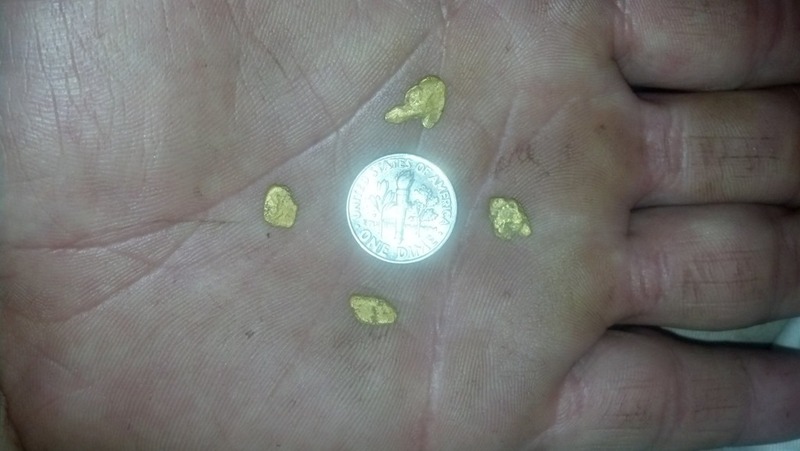 Now that is impressive as I know some areas with deeper gold I plan on returning to. Overall thoughts on a $400 investment of this coil. 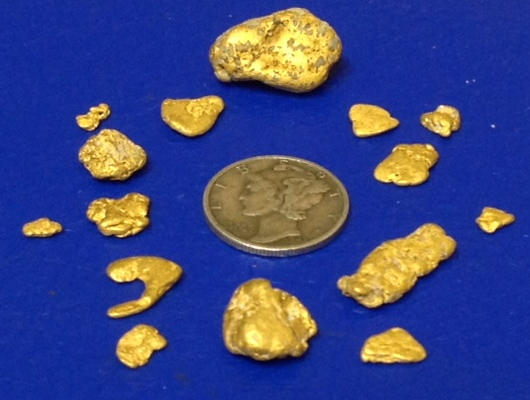 Considering I found 13.8 grams of gold with it in the short amount of time used, it certainly has paid for itself. But, the fact is even if I had not found the gold, I still could see, feel and hear the benefits of this new coil. If the opportunity arises, I like to try and one up my buddies and other hunters when we detect the same ground. To do so you need to take advantage of the new technologies and products by using it in your old sites before the others get there. 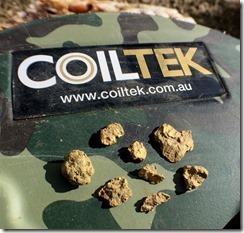 CoilTek is a proven worldwide known brand and so I know (and proved it) a new coil will help me find more gold. 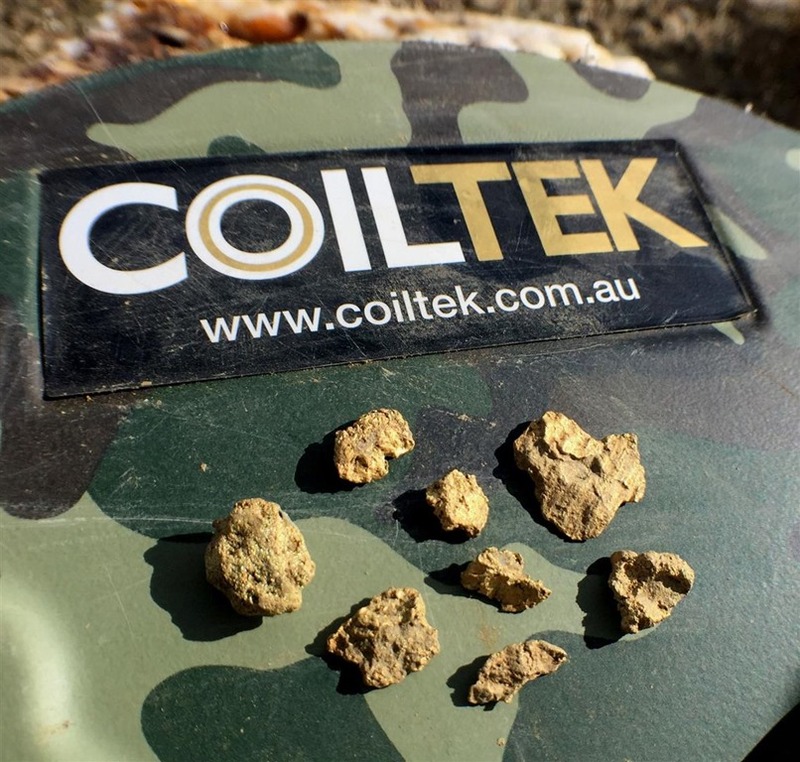 All in all, I really like this coil a lot and am looking forward to getting many more hours out in the gold fields with it! 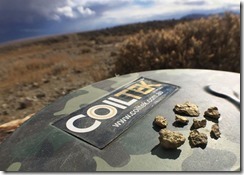 This CoilTek 14″ Elite tics all the right boxes for what I look for in a coil and more. Thanks for another fantastic product and giving us more options to find gold. Here are some very nice finds from Gerry’s customers with the GPZ-7000. 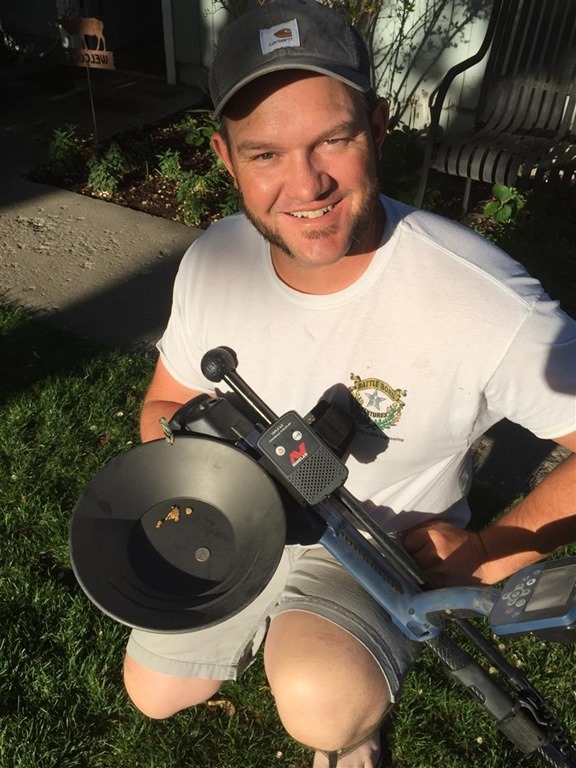 Raymond Stovall and his detecting partner ( Faus ) were previously trained on different gold machines, but this spring purchased 7000’s and went through training again. Congrats guys. I want to share with you my big find. I’m glad I took your training class at Rye Patch last May. I learned a lot and not to give up on a target. From the photos you can see I’ve done quite well with the SDC 2300. 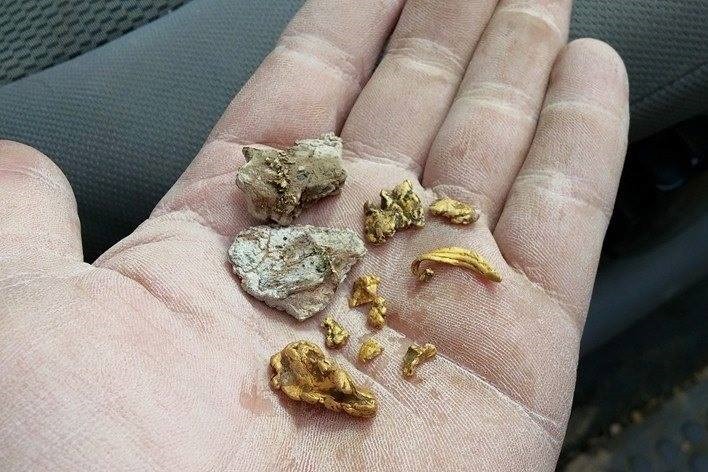 To the left in the photo, is gold I’ve found since May, plus below, what I found last Saturday, (some is pretty small ) and to the right the 4 nuggets that led me to the big one. I had a hit all around a boulder and was able to dig under one side and roll it. I still had the target but it was big. Hard packed gravel and I’m thinking a chunk of iron. I’m glad I stayed with it. Thank for your demonstrations of how gold and iron can sound the same. 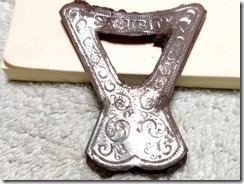 We at Gerry’s Metal Detectors love to share photos of our customers success. Many times we get pictures that are nice, but folks use old cameras or just can’t seem to take a good shot. 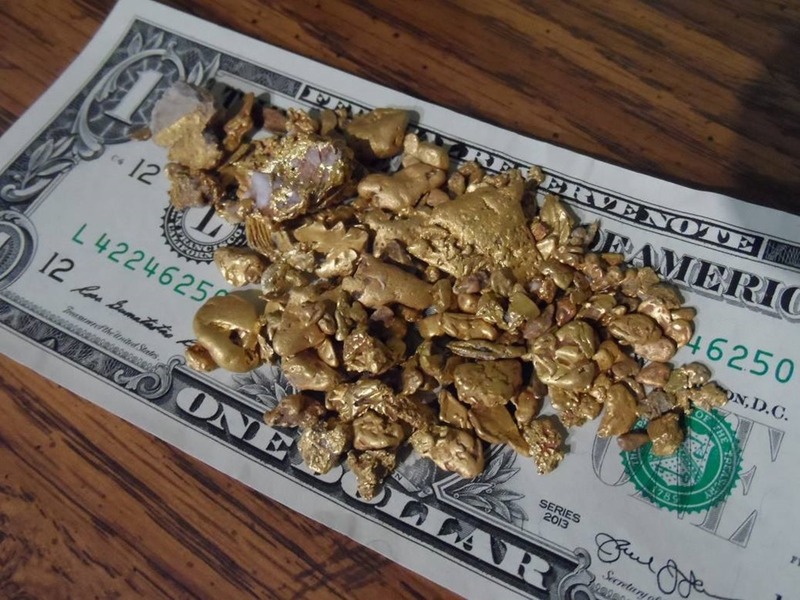 Anyway, don’t be offended, just share them, as we realize you would rather know how to use your detector and find gold, than how to take a photo and look at it. 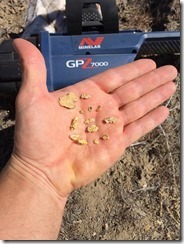 1st picture is one of my California dudes & his gold found with Minelab GPZ-7000. 2nd shot is an Oregon customer’s 1st day out with his new GPZ-7000. 4th is Idaho customer of mine & some of his recent gold nugget finds with GPZ. 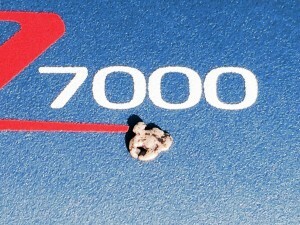 I have been testing and comparing the GPZ –7000 since its conception. 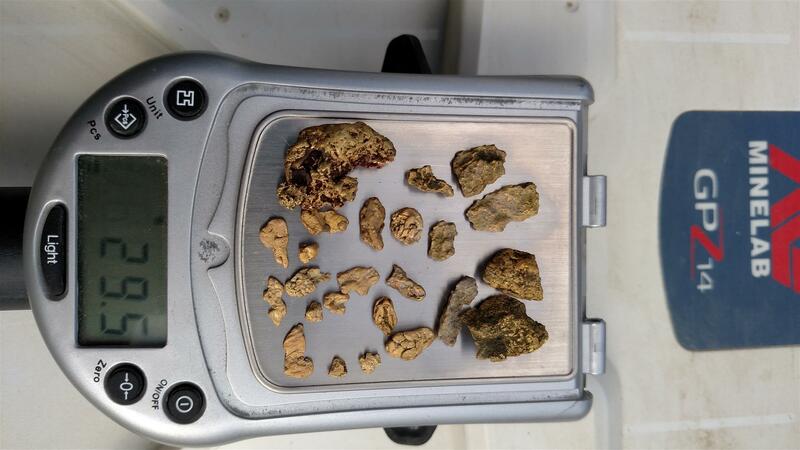 I have been working with Gerry and the other staff members so we get the most knowledge possible of what makes the 7000 the best gold finding metal detector on the market. The 7000’s new technology is not like anything we have seen before and so we all need to understand how to get the most out of us and the NEW GPZ. 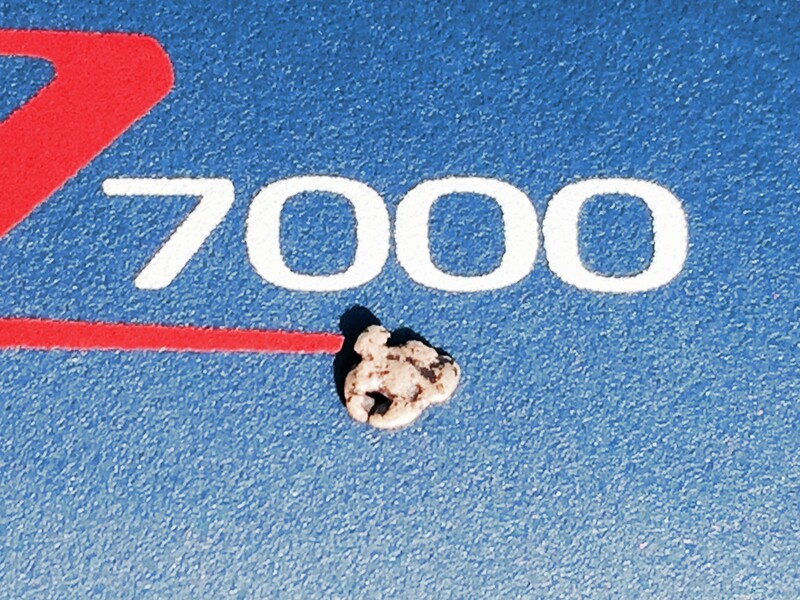 The first thing you will notice about the 7000 is a new look. It looks similar to the CTX 3030 but that is where that comparison stops. I really like the collapsible lower shaft and the ergonomics of the new handle. 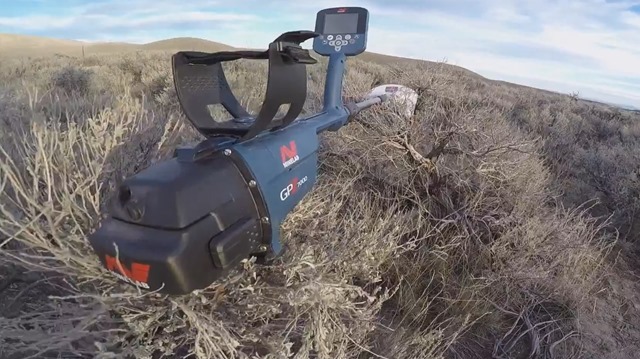 Minelab choose to add a swing arm with the GPZ-7000 and at first being (I don’t need that type of guy) I left it off and went on my merry way. That did not last long. After the first hour I was back at the truck and adding it to the upper shaft of the GPZ. The swing arm really gives the operator very good coil control on flat ground and when swinging on a side hill is outstanding. 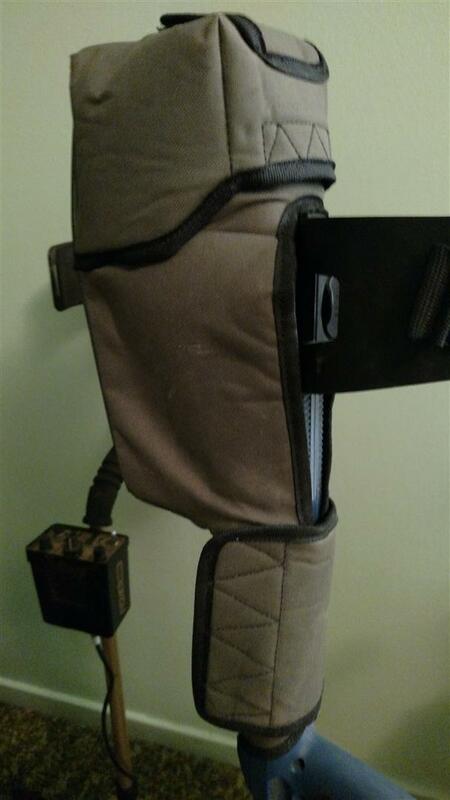 The New style bungee cord works well and is easy to adjust on the fly, another very good improvement. The only complaint I had was the weight of new style coil, which has about 6000 feet of wire in its winding and it is a bit heavy, but that being said you will get used to it very quickly when you see the gold the 7000 is capable of finding. 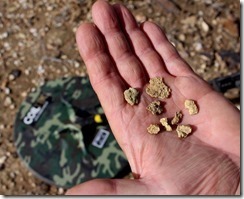 I was amazed at how the GPZ picked out small and deep nuggets in previously hunted out areas. I have only seen the Fishers Gold Bug 2 find pieces as small as the GPZ will find and at times the 7000 can find them deeper than the Gold Bug 2. 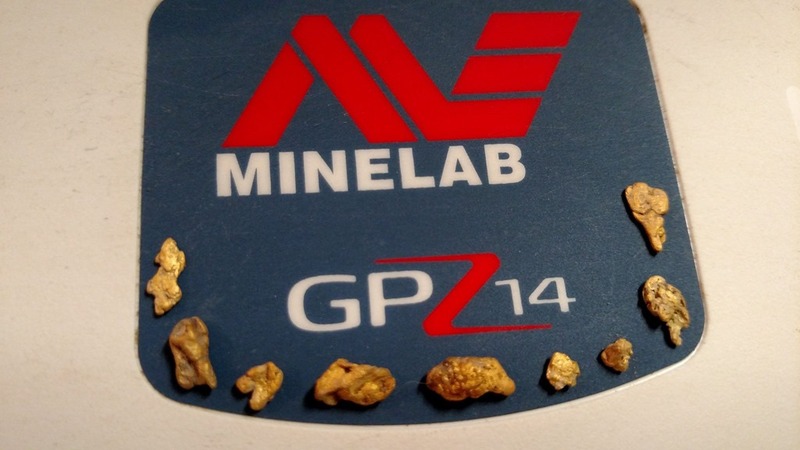 The GPZ continues to find gold nuggets that ALL other detectors have missed. 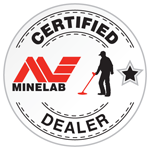 Minelab’s new technology is has been very impressive to the team members on Gerry’s Training Staff and his customers that we have trained. visible to the naked eye. 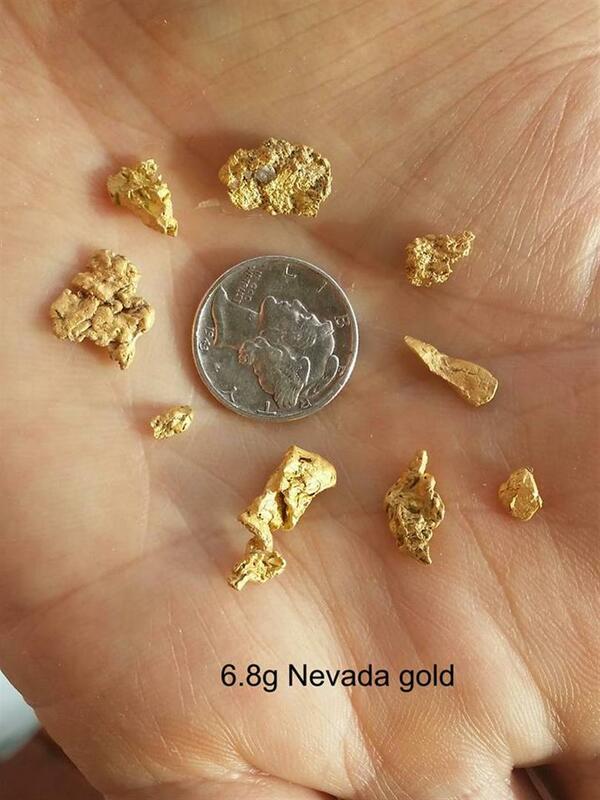 The 7000 did outstanding in our testing and finding in the field on these types of gold. The GPZ’S new programing is easy to setup with the new screen showing you the options that are available for the user. Now I am not saying this is a turn on go metal detector because it is NOT. With all machines the user needs to understand the options on the unit and how they work. 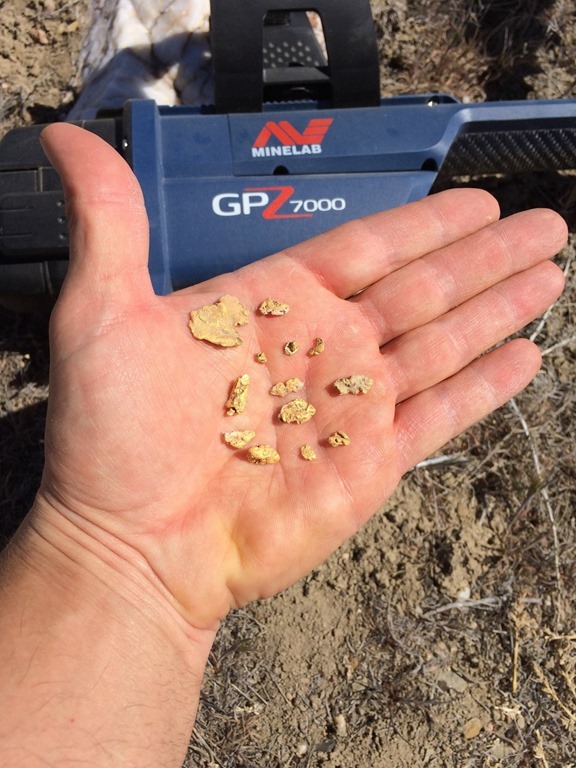 Gerry’s customers, that have had his training I believe will agree, getting hands on training is invaluable in learning your new gold nugget detector and what it can and can’t do. As an example when the ground is both mineralized and wet will the 7000 handle this condition? 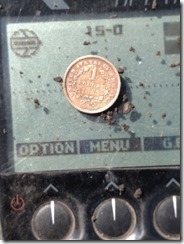 The simple answer is yes but there are trade offs from when the soil is in an ideal condition for detecting. Learning things like this from Gerry and his Training Staff will help you to be more successful with your new GPZ-7000 . The Gold Mode function has three options: High Yield,General, Extra Deep. The Ground Type has three options: Normal, Difficult, Severe. High Yield/Normal – For mild ground this is a good selection. General/Difficult – A good for setting for most medium to high mineralized ground. 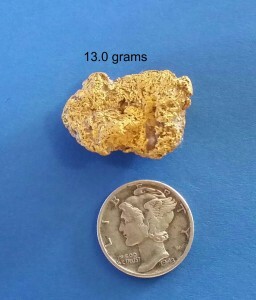 Runs smoother and provides a slight depth increase over High Yield on larger gold. Severe – Use this on the worst ground conditions, depth loss will occur using this setting. In my opinion the GPZ-7000 is excellent new technology with great promise for the future. There is very little gold that can hide from this machine. 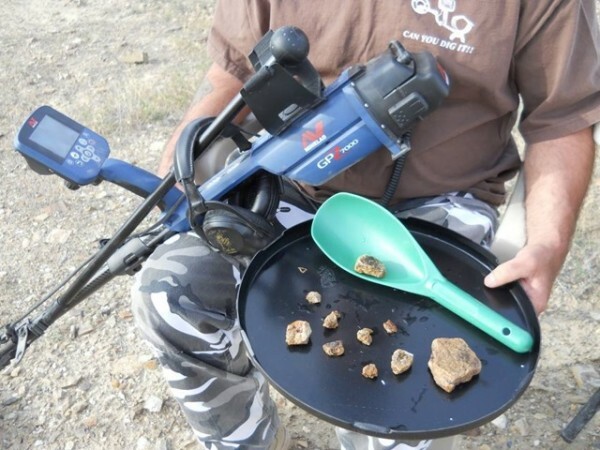 I highly recommend the GPZ as the best gold finding metal detector that I have had in my hands in the 35 years! 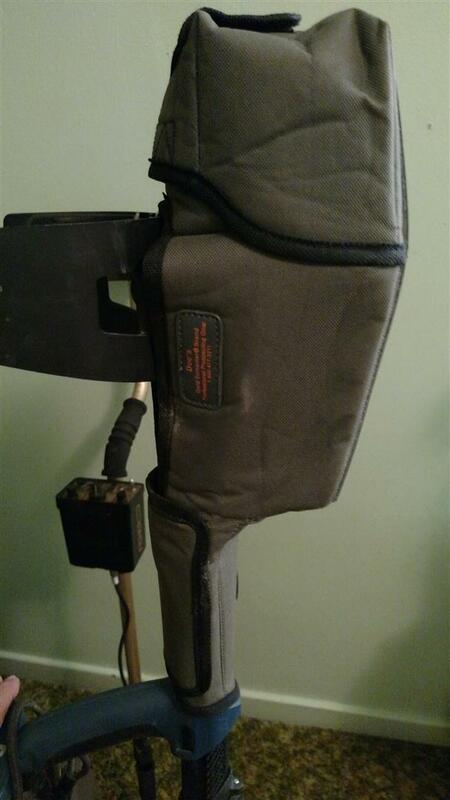 Get your NEW GPZ-7000 from http://gerrysdetectors.com/ and get Gerry’s Field Training to get you on the right track. Give Gerry a call or email him @ gerrys1det@cableone.net and start finding the gold you seek! You can follow Gerry on Facebook here: https://www.facebook.com/gerrysdetectors. 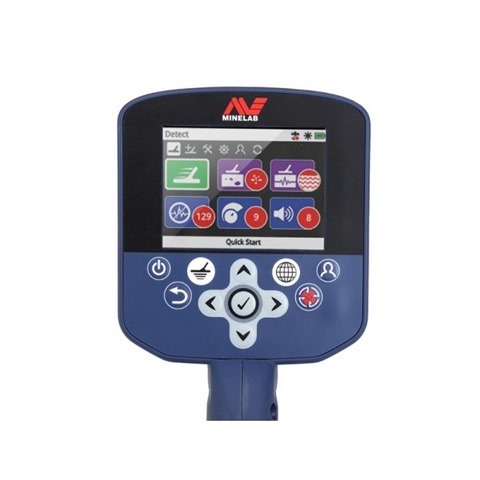 When one buys a new detector it takes time, patience and experience to get comfortable with your new machine. 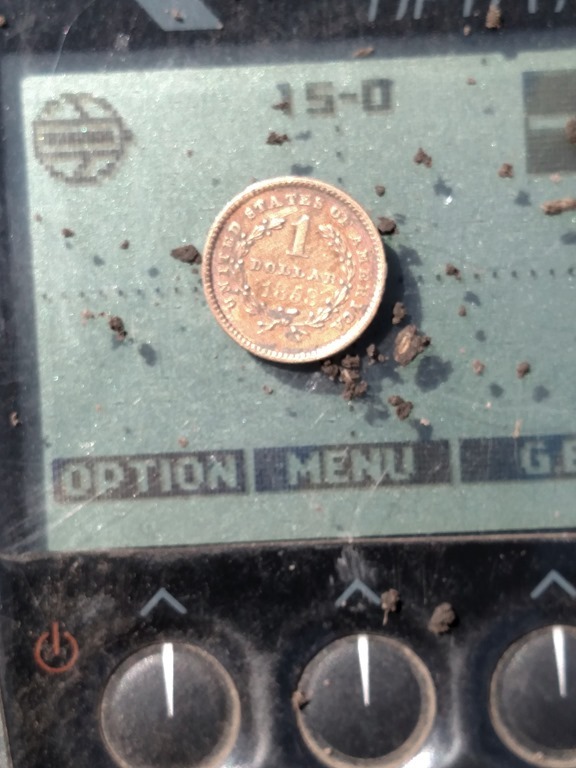 It helps if you buy your detector from Gerry at http://gerrysdetectors.com/ . 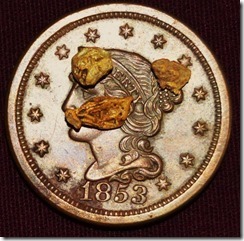 Gerry will take the time to help you and does have one day classes for coin machine detectors. That being said after you are own your own and no one is standing there beside you telling you when to dig or how to adjust your machine life gets a little more difficult. When I started using the CTX 3030 I tried different settings and combinations of those settings. Now understand that no one’s settings will work in every situation. We have to learn when and what to change for the area you are hunting. EMI and wet soil can make a difference on a spot we are working. Say you are hunting under a power line next to the area, there is going to some interference. So you must remember to run your noise cancel (which I may do several times a day in that situation) to get your machine to run at it’s best. Setting the sensitivity to high or low will affect performance. 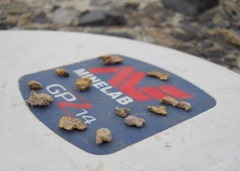 You can run auto ground balance and not worry about that part but I do not unless all my targets are shallow and the ground is not mineralized. I am going to do a video on how I set up my machine in the near future but for now I will share my settings here. Now understand this is NOT the only way to run your machine it’s what I like and works for me. I do run a tone modified coin mode with the settings below. The tone settings are what I like they do not effect the depth. Auto sensitivity Level– You can use Auto and if I do I run +3 but it does not go as deep most of the time but your machine will be somewhat more stable and give more consistent VDI #’s. Hope this helps some of you on your quest. 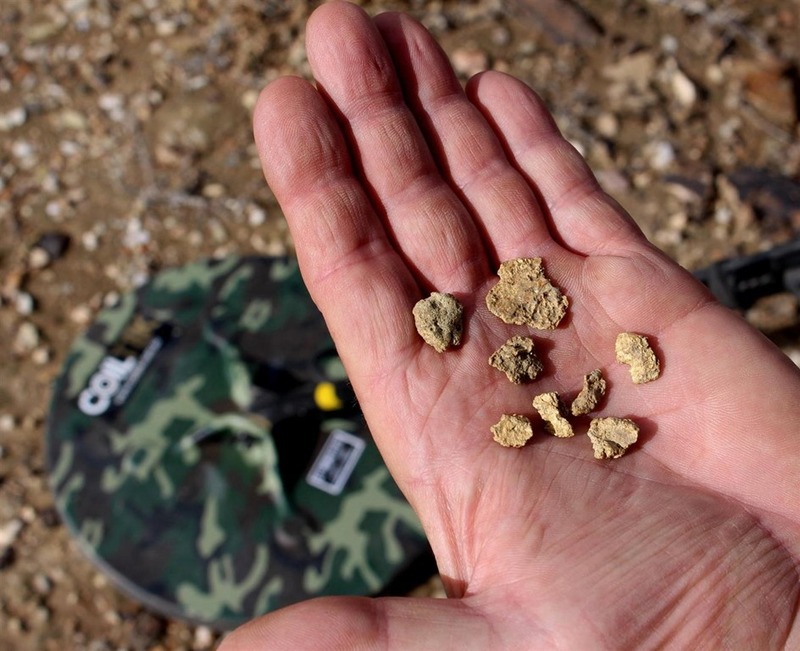 “I think I must have dropped it right in this area,” my friend Harry said as he pointed to a patch of ground that had been raked and detected for gold nuggets many times over the years. 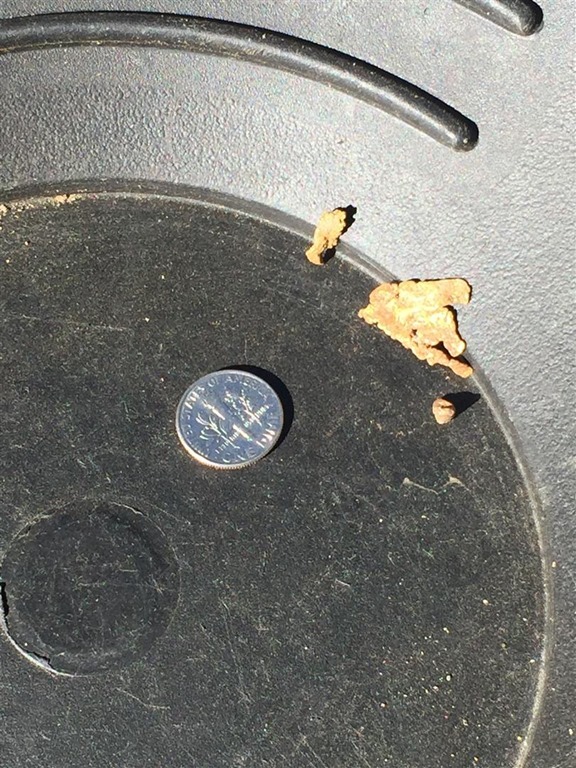 He was explaining to me that he had just searched the area extremely thoroughly with his Minelab GPX 5000 detector set in the fine gold timing with a small search coil, and had found a tiny nugget the size and shape of a very small bird shot. 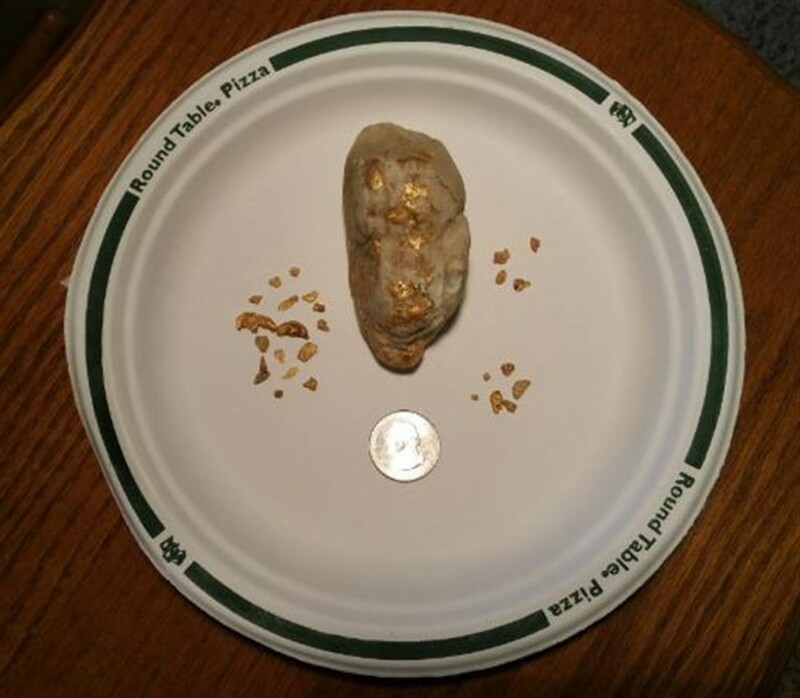 After showing it to a fellow prospector, Harry put the tiny bit of gold, along with his test nugget, back into his nugget bottle…or so he thought; upon showing his wife later that day, it was discovered that the tiny nugget was missing! The area was then scoured again with the GPX 5000, a Fisher Gold Bug Pro and a White’s GMT in search of the lost nugget, without success. 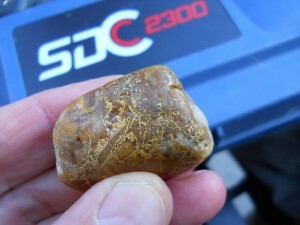 “Let me try to find it with my Minelab SDC 2300 detector, Harry,” I offered. “Sure Lunk, that’s a great idea, go ahead!” He replied. So I quickly unfolded the unit, set it to maximum sensitivity and began slowly searching the area. Within just a couple of minutes, the 2300 responded with a crisp, clear signal. “I think I may have found it,” I said as Harry, his wife Maureen and a fellow prospector all huddled together in anticipation. After clearing the surface stones away from the underlying soil, I soon discovered that the target was actually buried. The target was out of the hole and in my scoop after removing only a couple inches of material. 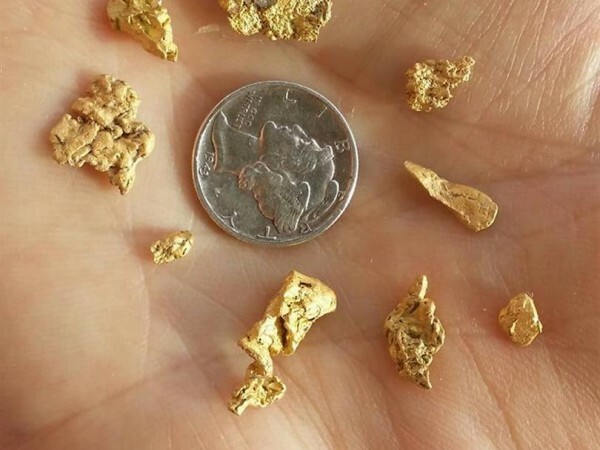 A quick sifting revealed a small, thin and ragged piece of gold. 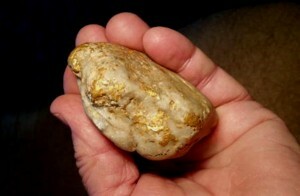 “Is this your nugget, Harry? I asked as I handed it to him. “Okay, well it’s gotta be in here somewhere,” I said as I continued the search. 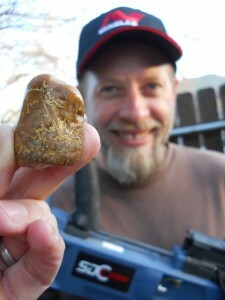 Soon I unearthed another small nugget, and another, neither of which were Harry’s missing nugget! Needless to say, everyone was incredulous that the SDC had so quickly found these targets that their detectors had missed. 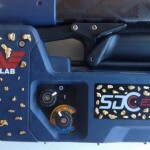 “It’s the new MPF technology of the SDC 2300 that is able to find nuggets that are just a little too deep for the very low frequency, VLF machines, and that don’t respond well or at all on other pulse-induction, PI detectors,” I explained. 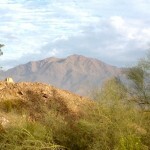 Dusk was setting in over the Arizona desert by this time, so I resumed the search the following morning. 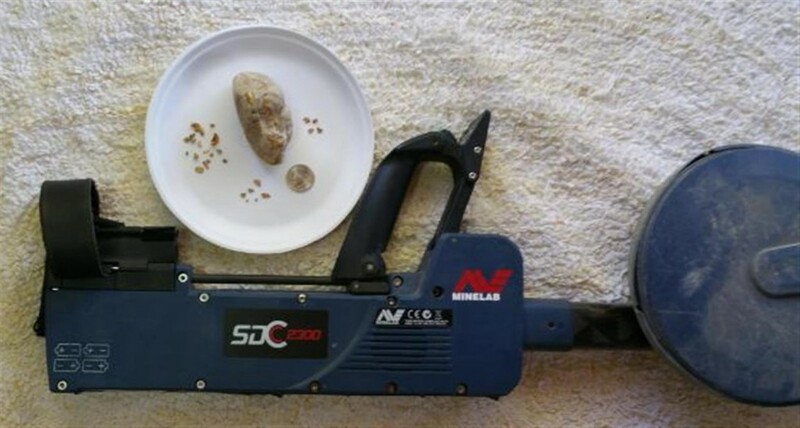 After recovering seven more small nuggets with the 2300, none of which were Harry’s, I could only assume that his nugget had somehow escaped when he went to show it to his wife back at their RV. 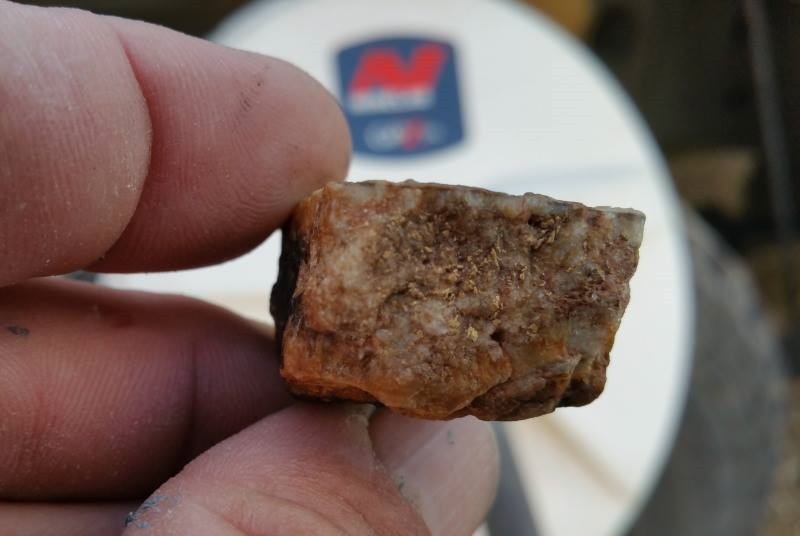 This is just one example of why I couldn’t put the Minelab SDC 2300 down from the time I picked one up in the middle of November until I started swinging the new Minelab GPZ 7000 in March. During that time the 2300 located over 155 nuggets, just on beat-up old patches. I haven’t had as much fun with any detector since I first started detecting for gold nuggets back in 1996, and I sure wish I would have had this magnificent machine back then. Happy prospecting! 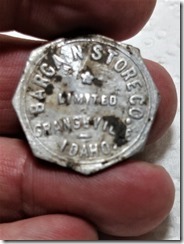 Travis out working with his SDC 2300 found a beautiful 1.23 oz. 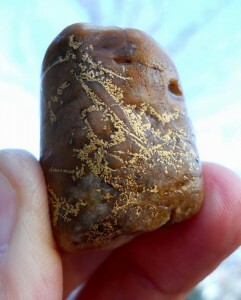 Idaho specimen gold nugget. 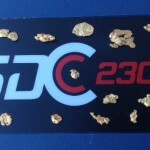 The SDC 2300 is one of Minelab’s newest and hot gold finding machines. 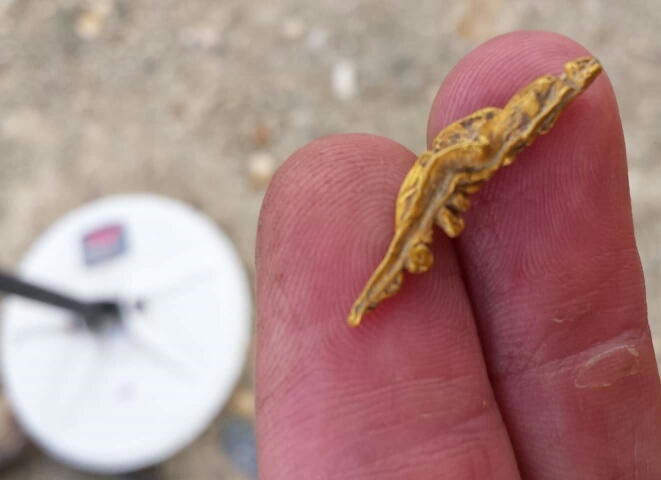 The 2300 finds both big and very small pieces of GOLD. 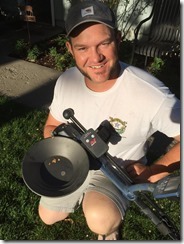 Travis was trained on his new machine by Gerry’s Metal Detectors located Boise Idaho. The 2300 find nuggets that other machines have missed. 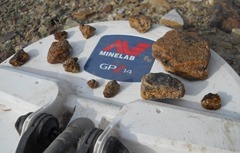 Minelab’s new technology is a must have for the serious prospector.